There you are, everywhere I go. In summer I’ll find you a shady tree. I think the “I” just winked at me. In winter I’ll swiftly brush off the snow. Won’t let it stay on an “L” or an “O”. Each year you’ll have a new sticker too. Gently applied – Would I hurt you? and make sure each and every bolt is tight. Don’t mean to brag, but look at that “L”. It’s tall and straight and proud as hell. the love I have for that handsome “V”. Some states would have only one of you. How lucky am I? Ohio has two. Fantastic Marie !! I want three !! One for the front- one for the back and one to hang on my wall !! What wonderful license plates Good for you. I want those too Marie! The Flight Crew should have them…….and all il Volo fans for sure. I think their great Marie and I love your poem. Who else but you would have thought of this! My kids already know I’m crazy (about il Volo ) so what the heck? The poem was great, but the whole thing is remarkable! You’re the captain, Marie!!! I AM SO envious! Why didn’t I think of this? You are sooooo lucky! Marie, they should put you in charge of marketing Il Volo merchandise! Not just t-shirts and tote bags and posters, but all sorts of goodies. Imagine note pads with pictures of our guys on them–who would ever get any work done with those on their desks? And I am sure you can think up a pile of other things! Wouldn’t that be a fun job? Someone needs to do it (snap!). Why Not? I’d do anything to be close. Remember, I’m the one who offered to brush their teeth. It would! But we would have to stay away from tacky! No napkin holders, pens or bath towels! What I would really like is a tea cup or mug as I have seen on Il Volo Mundial picrures of the guys on the mug or tea cup or glasses. I went on Mundial site & asked if they were selling those & how I could order one & they never responded. That was a while ago. I thought I saw people with tote bags Loretta. But maybe they got them elsewhere. I didn ‘t even look at what they were selling. There was such a crowd around that table that I was afraid I’d be late for the concert. All I wanted was my package and then I skedaddled out of there. I would love a tote bag! I am sure they would go fast for fans to carry all the Il Volo treasures. What about a pillow case with the three boys? Something to hug. Don’t they already have tote bags? I think I saw some at the concert I went to. Anyone know? Tote bags were given out to LAST YEARS Meet and Greet participants at some concerts. I have one from Detroit. I saw none for sale at any of the concerts I attended this year. You all know that Walmart has a kiosk where you can make those things, right? I just would like a bumper sticker. I guess you have to order these things custom made from mail order businesses. 🙂 I remember you being so excited when they came. Yes I was! I went right out and bought them some bling covers. Love this. Also very jealous. Harriett -I have the key chain. Got it at the Orlando concert last September. Since then I have never left home without my Boys !!! They are with me all the time !! I also have the Il Volo iPhone cover which came from Amazon. See if they sell the key chains. Marie, another wonderful poem. 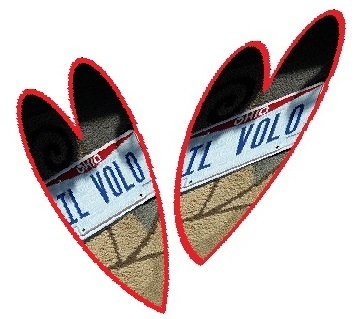 And I love all the ideas for Il Volo items with our Guys faces on them – a key chain would be great or a tote. Marie I just love it!! It never would have occurred to me to get license plates!! I love your poem, also! I do have a key ring. My Grandaughter got my friend & I both one at the Gibson concert last year! So a CD of our guys & key ring with their photo go with with me everywhere I go! Love the marketing ideas too! Oh, Marie, you are the best! I just wait to see what is next. When I am better, you know that I’m waiting to laugh out loud with you. I want a ride on this wonderful “Il Volo” motor coach of happiness that is in Ohio! Love you so much! I checked AMAZON and they have hard cell covers. One with Il Volo and one with Gianluca. They are for Apple iPhone 5C. A white coffee cup came up with “got Il Volo” but not sure it relates to the boys. Laia, it’s just a license plate frame with rhinestones surrounding it. I also found rhinestone bolts. The plates deserved them! Of course! Our guys are real diamonds! Oh Marie, you have been dipping into the grog again haven’t you? I’ll have to have Isabel keep a closer eye on that barrel. 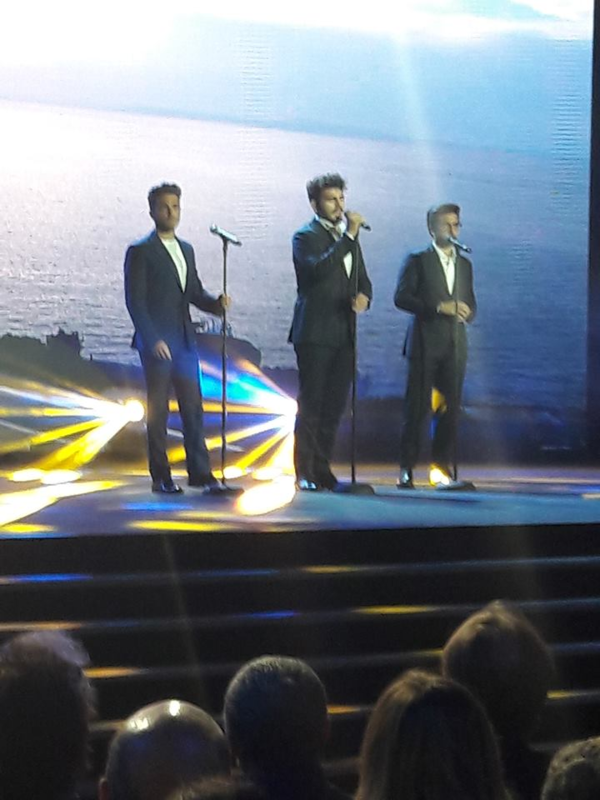 Seriously though, the marketing people for IL VOLO would do well to hire you. I know I was seriously annoyed with the lack of updated merchandise. Would it kill management to put out a decent shirt with an up to date photo of our young MEN? I agree completely! Even the cover pictures on the CDs aren’t up to date. Well, they have a new company now, so maybe we should hold off on the criticism until we see what they are doing. Although it never hurts to let them know what we would like! 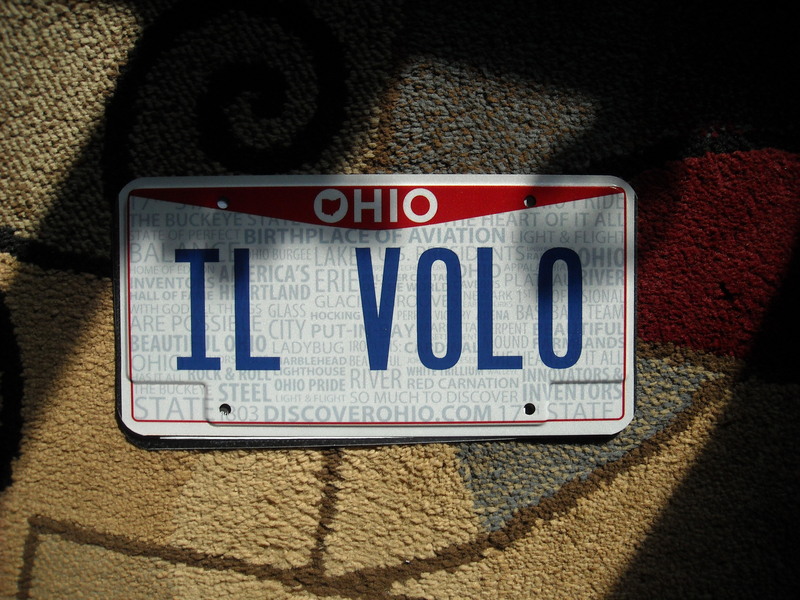 I have the IL VOLO license plate for Oregon. Katie, you beat Jeanine and myself to it! Where in Oregon are you? I agree (Not with the grog part)! I was very disappointed when I purchased t-shirts this season and the pictures on them are from 2012. No posters, no key chains, etc. Got my keychain last year in Detroit. Stays with me. Hard plastic. Lip prints are easily removed! Marie, you should write for Hallmark!! I totally loved your poem. If I didn’t value my Choose Life license plate so much, I would go for an Il Volo plate, too. I got a keychain last year at the Fresno concert–I think it cost $25 (for a $5 item). But my 18 month old granddaughter sees the keychain and says “il Bolo” with a precious Italian accent. Oh Vicki, that’s too cute! However, ask Linda how many times I run a line of poetry by her and ask. “Does it sound too hallmarky?”. I could definitely do Hallmark! Damn it! I keep waiting for Isabel to read this. Obviously only one person in Ohio can have those plates. Isabel lives in Ohio. Hey! If anything mysterious ever happens to me check Isabels whereabouts! I remember how excited you were when you first got them!! Il Volo rides high!!! Can’t have more than one registered plate per state, but anybody can get a custom made vanity plate for the front of a car. Maybe Sony will do a better job of marketing the guys. One can hope. Hello Barb, Thank You! Sorry about the plates. I live in Zanesville. Where are you? If you listen between 11:00 and 2:00 it is called Bill’s Classical Jukebox, and he gives out the number frequently. And he tells who requested it! Just have a pen and something to write on handy. This is getting very interesting! Everyone has great ideas for products–maybe we should compile a list and send it to them! Ah Marie, way to go Girl! I love the number plates and I love your awesome supporting poem! 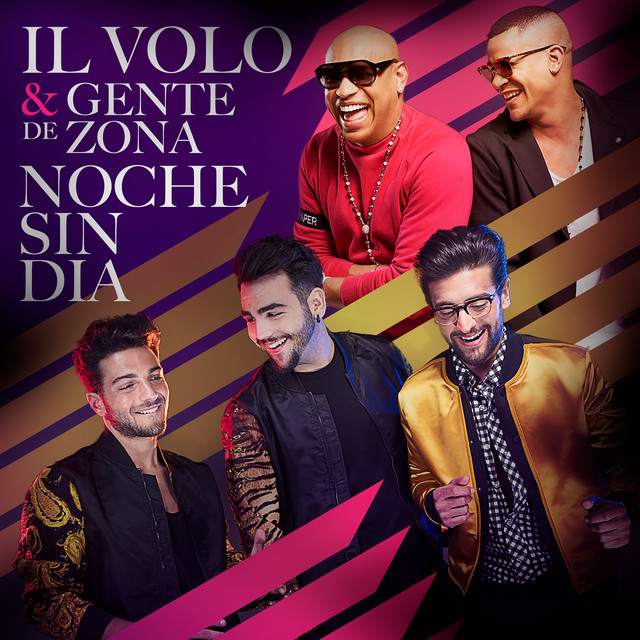 I also love this site that makes it possible to share and enjoy your zest for both life and IL VOLO!!! Thanks Ineke! I love having you here! Marie, you’re amazing!!!! Thanks again for promoting our guys!!! Elizabeth!! It is so nice to see you here again. Welcome back!! So Sorry Elizabeth, but it will be many, many years before you can get them. Should probly look into a bumper sticker or key chain. Yay Ruth! We have a few states covered. However, mine was $150.00! Plus you are a member of the family-thinks-I’ve-lost-my-mind club! Marie et al, I got mugs from Wallgreen’s for the Minnesota Convention women. Just take in the photo that you want printed on it and they will make them. Think they also will do totes and just about anything you want. Of course it would be better if we had our own production company and who better than Marie to head it? You go, girl! Wouldn’t that be fun? We could have a life size Gianluca Speedo photo made and offer free smelling salts with each poster purchased. We could branch out and have “Piero’s Peach Pie’s” or “Ignazio’s Italian Incense” (you know which scent!). Ready Mary? The possibilities are endless. Letting our imaginations run wild might be dangerous, but—– You get it started, Marie, and count me in. HAHAHAHAHAHAHA – I can’t stop laughing Marie! My husband complains to me about my “obsession”. But I haven’t asked for license plates,,,yet. 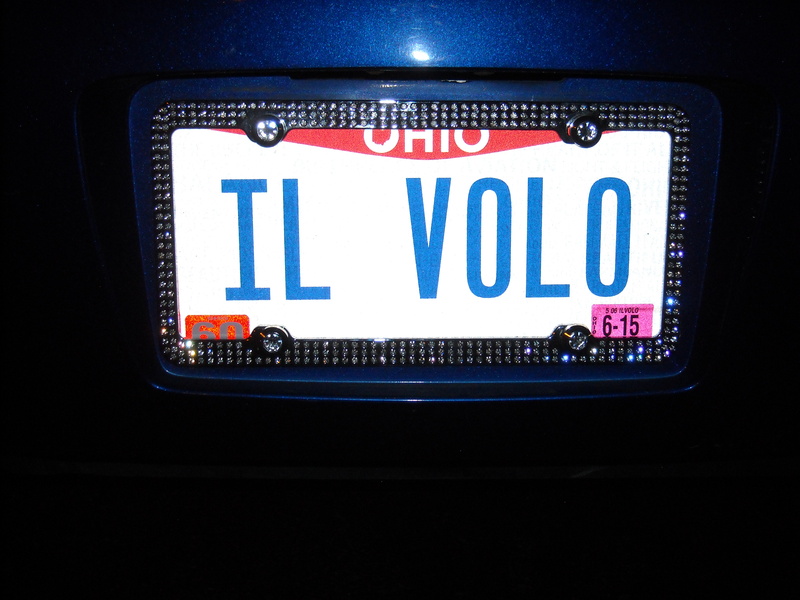 Eileen, you can get another husband, but Il Volo license plates are limited to one per state. So….